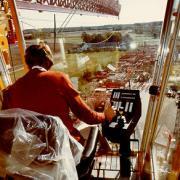 Engineering careers may require you to work: either outdoors, in an office or underground. This sector has a large variety of career paths, from architecture and town planning to all forms of mining, from mechatronics to all forms of engineering etc. 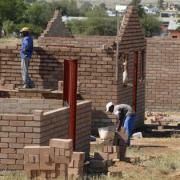 South Africa needs homes, hospitals, offices, roads, bridges, dams, harbours and mines etc to be built and maintained. Everyone (men and women) can play their role in this sector, from labourers to designers, from engineers to project managers. Our country needs you! If you want more information about careers in Construction, Engineering and Mining, click on the different sectors on the left (or below) to find different and interesting job descriptions. Do you want to be part of a team to build cars? If this phrase excites you – then, maybe a job as an Automotive Sheet Metal Worker is a job worth considering. Automotive Sheet Metal Workers cut and shape sheet metal components into the correct forms and sizes for the bodywork of vehicles. A Blaster works on a mine or in a quarry. They have the responsible job of fill the ‘holes’ made by the Rock Drill Operator with explosives and detonators.Once the explosions take place, the rubble rock, coal or ore can be removed. Sometimes the Blaster is used to set up explosives to demolish old or unsafe structures. Boilermakers are in demand! 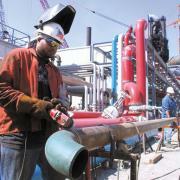 Boilermakers work in the heavy engineering industry and make boilers, engines and pressure-vessels. 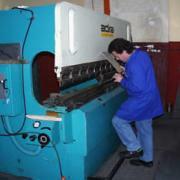 They work with large sheets of metal to make parts for machines and equipment. 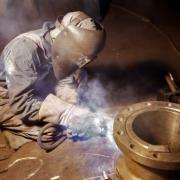 If you imagine yourself as a metal worker and practically skilled, then a career in Boiler Making is for you! Bricklayers are in demand! Without Bricklayers, houses, factories, hospitals, schools, museums etc CANNOT be built. 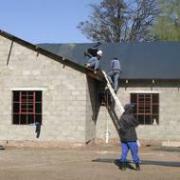 A Bricklayer is therefore, an important team member on the construction site. A Bricklayer’s job is to construct and repair walls etc. 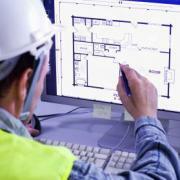 A Building Inspector has the responsible job to make sure buildings comply with local, national building codes and regulations. 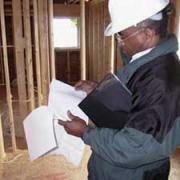 Building Inspectors work for local municipalities. Carpenters are in demand! Working with a natural material like wood, can be a very rewarding job. 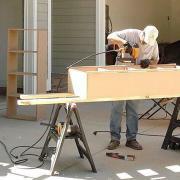 If you’re good with your hands and see yourself in the construction industry, then a job as a Carpenter may suit you. 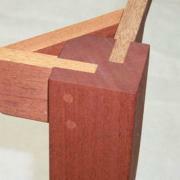 Carpenters work throughout the construction industry. Carpenter Joiners are in demand! If you’re good with your hands and enjoy working with wood – then consider a job as a Carpenter Joiner! Are you naturally inquisitive and open-minded with a strong aptitude for mathematics and the sciences? 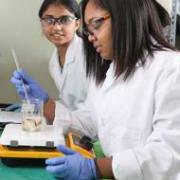 Why not consider a career in Chemical Engineering. 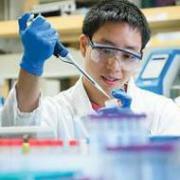 Chemical Engineers combine chemistry and engineering to help solve some of the world’s problems. 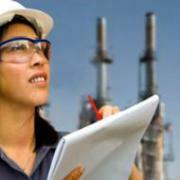 As a Chemical Engineering Technician, employment is possible in most areas of process engineering. You could be involved in research and development, design and construction of chemical processing plants, or in plant operations and maintenance. The choice is yours. 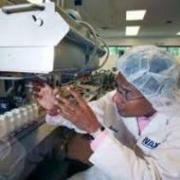 A Chemical Engineering Technologist researches, analyses and makes changes to to new or existing chemical engineering technologies and systems. They can work in industries like: Oil and gas – Explosives – Food and drink – Pharmaceuticals (medicines) – Synthetic materials etc. A Chemical Plant Operator works in a chemical plant. 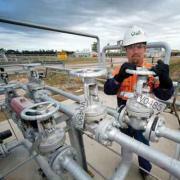 Their job is to monitor and control equipment and co-ordinate maintenance when required. They are also in charge of start up and shut down. A Chemical Plant Worker works in a chemical plant. Their job includes a variety of tasks like: – Delivering materials to processing areas – Dumping materials into hoppers – Operating specialised machinery – Filling or fastening covers onto containers etc. 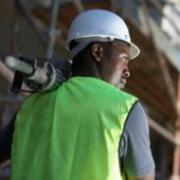 Civil Engineers are in demand in SA and internationally! Civil Engineers plan, design, and oversee the construction and maintenance of building structures, and facilities, such as roads, railroads, bridges, harbors, dams, irrigation projects, pipelines, power plants, water and sewage systems, and waste disposal units. Civil Engineering Technician provide technical support to Civil Engineers on large-scale construction projects like skyscrapers, bridges, dams, roads and tunnels, harbours, sewerage systems etc. A Civil Engineering Technologist is like a civil’s researcher. They take their research, analyse all the data and then modify new, existing or old engineering technologies. Crane and Tower Operators drive a large number of different types of cranes to lift and move materials, machines or products in many directions. We see many Crane Operators on sites eg: new football stadiums, factories, schools, hospitals, offices, shopping centres and high-rise developments. Crane Operators work on cranes or draglines to lift, move position and place machinery, equipment or other large objects at construction sites. 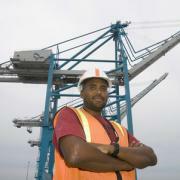 They work for construction firms, manufacturers, shipbuilders, cargo-handlers and railways. 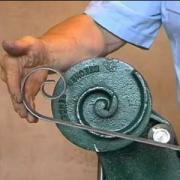 A Die Sinker works with metal. 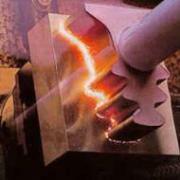 They use special equipment and hand tools to make or create a specific hole or shape in steel blocks. The ‘holes’ or cavities are used as moulds for plastic manufacturing, coin making, or die casting. Die Sinkers also do engraving. 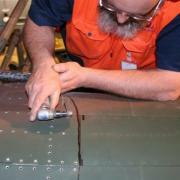 Diesel Fitters work on diesel engines. 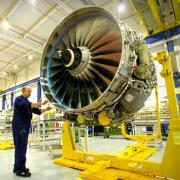 They are responsible for the service, maintenance and repair of these engines. Does working with vehicle engines excite you? Diesel driven vehicles are an important part of the transport economy. Why not consider a career as a Diesel Mechanic? 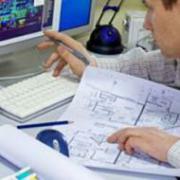 Draughtsman are like architect assistants. 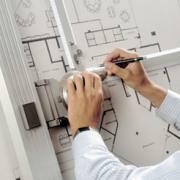 The job of a Draughtsman is to prepare detailed drawings of architectural designs and plans for buildings and structures according to specifications provided by an architect. 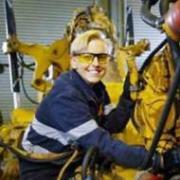 Earthmoving Equipment Mechanic can also be known as a heavy Equipment Mechanic. 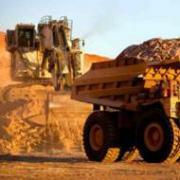 Earthmoving Equipment Mechanic’s job is to maintain and repair all aspect of earthmoving machines from the hydraulic systems and power shift transmissions to electronic and electrical systems. Thinking of a career in Engineering? Are you excited by the design and development of electrical equipment? 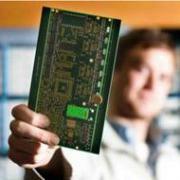 Becoming an Electrical Engineer will incorporate these areas. 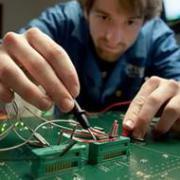 An Electrical Engineer usually deals with the study and application of electricity, electronics and electromagnetism. 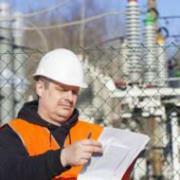 An Electrical Engineering Technician tests electrical systems and prepares charts and reports. 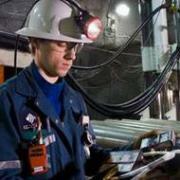 They often assist Electrical Engineers or Engineering Technologists. An Electrical Engineering Technologist works on new and existing engineering technology and applies up to date systems to electrical engineering projects. This is a GREEN occupation! An Electronics Engineer designs electronics. These products could be really simple or be as large as an international GPS (global positioning system). 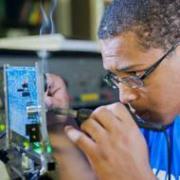 An Electronics Engineering Technician designs, makes up and tests electronic systems and equipment. 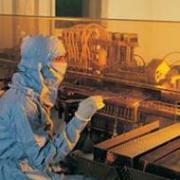 They usually assist qualified Electronic Engineers. 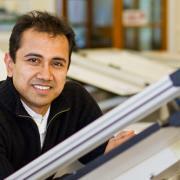 An Electronics Engineering Technologist researches, analyses, modifies new and existing electronic systems. They could work or specialise in: Radar – Telemetry – Remote control systems – Microwaves – Aerospace / transport – Other electronic equipment etc. Lift Mechanics work as part of a crew and specialise in the assembly, installation, testing and maintenance of lifts in accordance with local and national regulations. 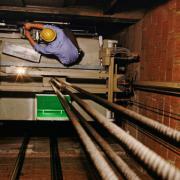 Lift Mechanics work indoors, both in buildings under construction and in existing buildings. Some Lift Mechanics may even work on our local mines. 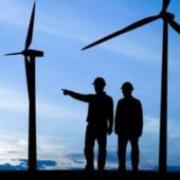 Energy Engineers design, plan and perform engineering duties in the prevention, control, and the removal of environmental health hazards using various engineering disciplines. 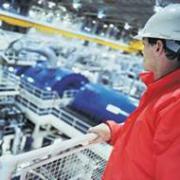 An Engineering Manager is in charge of the design & construction of large engineering or process plants. An Environmental Engineering Technician is passionate about saving our environment.They work to reduce and control: Pollution – Recycling – Waste Disposal. 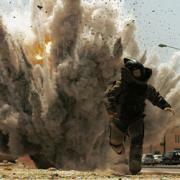 An Explosive Expert is responsible for all aspects of working with dangerous explosives. This is a very responsible, potentially dangerous job. 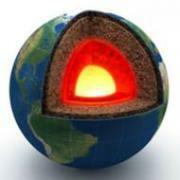 A Geologist is passionate about the structure, physical characteristics and composition of the earth. Their studies are used in: mineral exploration (mining), civil engineering, environmental protection and earth rehabilitation programmes (after mining etc). 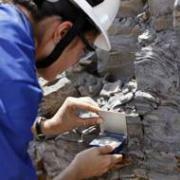 Geotechnicians/Geotechnologists are civil engineering scientists who study the earth’s crust to determine the natural resources of the area or to locate building materials for large constructions. They use very sophisticated, technical instruments, satellite and aerial photography, computers, drills etc. If you would like a job at the ‘cutting-edge’ of the building industry and you’d like to work with glass and mirrors – then a job as a Glazier might be the career path you’re looking for. 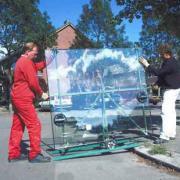 Glaziers are responsible for selecting, cutting, installing, replacing and removing all types of glass and mirrors. Handymen / Handypersons repair and maintain buildings, mechanical equipment, machines, electrical equipment, heating systems, air-conditioning, and even plumbing systems. They solve small problems before they become large, serious ones. A House Builder constructs, repairs and maintains homes and small buildings. If you’re interested in construction and would like to work mainly outdoors, this may be the career you’re looking for. An Industrial Engineer mixes engineering with business. They may work in many fields but their main job is to focus on increasing efficiency and saving the business money. 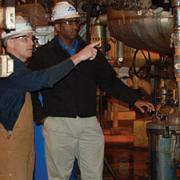 Often, Industrial Engineers find themselves in managerial positions. 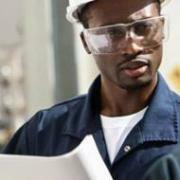 An Industrial Engineering Technician often works in a factory, manufacturing plant or in a warehouse. 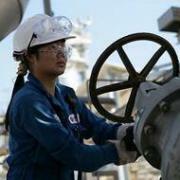 Their job is to make production etc more efficient and safe. 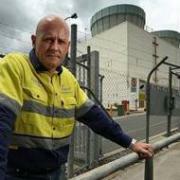 Most Industrial Engineering Technician work alongside industrial engineers or other specialised professionals. An Industrial Engineering Technologist could work in many industries, factories, manufacturing and processing plants as well as warehouses. The may even work alongside Industrial Engineers or on their own in a company. Joiners are in demand! If you have a passion for wood and working with your hands, becoming a Joiner might be the right job for you! 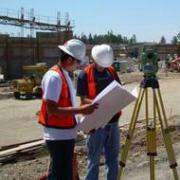 A Land Surveyor is a professional person who surveys the land (townships and farms), buildings and roads to determine existing boundaries or to create new ones. Land Surveyors play a key role in land development and reform and work closely with town planners, architects and engineers. 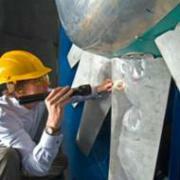 A Marine Engineer is responsible for research and development of new marine vessels and equipment. 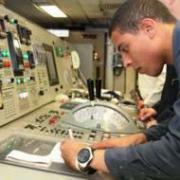 A Marine Engineering Technologist usually works alongside a Marine Engineer. They design and construct various marine vessels, offshore platforms and marine equipment. They could work for the military, large ship building companies or companies that manufacture marine components and parts, like engines, etc. 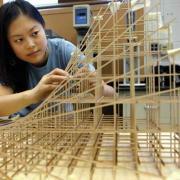 Are mathematics and science your passion and does the world of engineering fascinate you. Becoming a Mechanical Engineer might just be the world you are looking to enter. Are you considering a career in engineering? 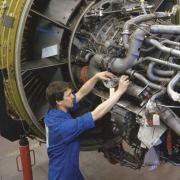 Becoming a Mechanical Engineering Technician could be what you are looking for. A Mechanical Engineering Technician works alongside a Mechanical Engineer. 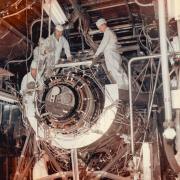 They conduct tests on mechanical systems. 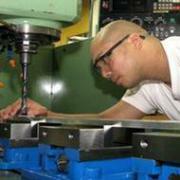 A Mechanical Engineering Technologist analyses and modifies mechanical engineering systems and equipment. 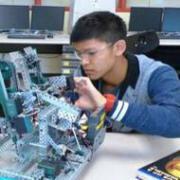 Mechatronics is a new, cutting-edge engineering field. It’s a design-combination of mechanical, electrical, computer and control engineering. It’s extremely high-tech and it’s paving its way to becoming one of the most exciting career paths for would-be engineers. Mechatronic Engineers are in demand! 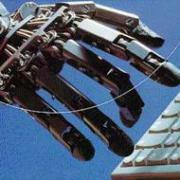 Mechatronics is a new, cutting-edge artisan field. It’s a design-combination of mechanical, electrical, computer and control engineering. It’s extremely high-tech and it’s paving its way to becoming one of the most exciting career paths for would-be engineers. 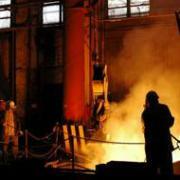 A Metal Fabricator usually works with steel or other ferrous (iron-containing) metals. You have to be very responsible as it can be quite dangerous work at times. 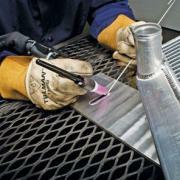 If you’re good with your hands and can handle stress, then maybe a job in metal fabrication is worth considering. Metallurgy is the science of metals and making sure the right metal is used for a job, or converting the chemical compound so it’s perfect for a job. 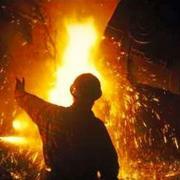 A Metallurgical Engineer’s main focus is the conversion of raw metal to something useful. A Metallurgical Engineering Technologist helps Metallurgical Engineers. They test metals in a laboratory. 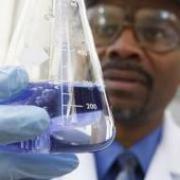 A Metallurgical Engineering Technologist takes outdoor samples and performs laboratory experiments to determine the chemical make-up and properties of metals. A Metallurgist is an engineer who is involved in investigating the properties of metals and the development of new processes for extracting metals from ore and producing new alloys. 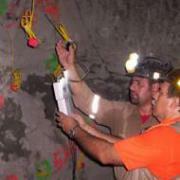 A Mine Ventilation Observer is a technical expert for the ventilation and occupational hygiene of the mine. To follow this career path you will need a minimum Grade 9. 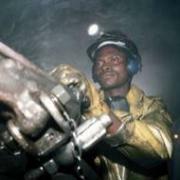 A Miner works in a mine or a quarry. 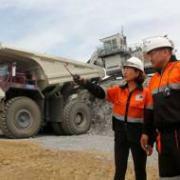 They are responsible for blasting, excavating and digging to remove the ore from the mine or quarry. In some instances, mining can be dangerous. 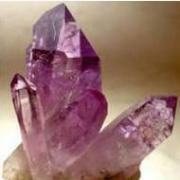 A Mineralogist is a kind of geologist who studies minerals. 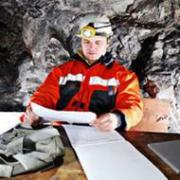 Mineralogists work mainly outdoors in remote areas. 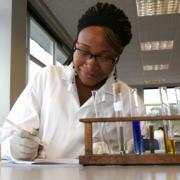 They also work in laboratories where they will do experiments to analyse the properties of the minerals. 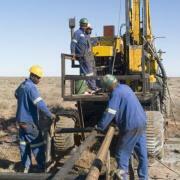 The Department of Mineral Resources (DMR) employs Mines Safety Inspectors. 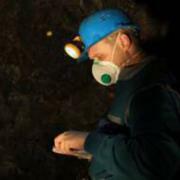 A Mines Safety Inspector is responsible for the safety and health of the employees and other persons (like sub-contractors, visitors etc) on the mine. 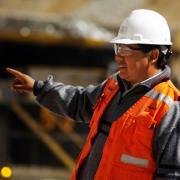 A Mining Engineer is a kind of mechanical engineer. They are responsible for coming up with ideas and systems to make mining safer, cleaner and more efficient. 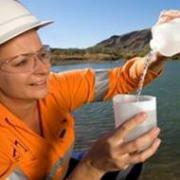 A Mining Engineering Technician generally works alongside mining and other engineers and engineering technologists. 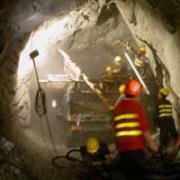 They are responsible for the safety, efficiency and cleanliness of mines or quarries. If you would like to work in a mining environment and love engineering – this may be the career you’re looking for! 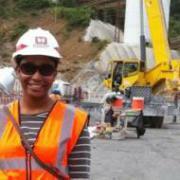 A Mining Engineering Technologist generally works alongside Mining Engineers. 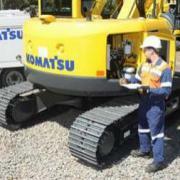 They are responsible for the safety, efficiency and cleanliness of mines or quarries. A Mining Operator operates big machinery to break, excavate and load minerals. They work in underground mines or open quarries. A Mining Support Worker helps perform jobs on the mine like: taking apart and assembling mining equipment / taking samples of rock / mixing ore treating chemicals etc. They can work in underground mines or quarries. 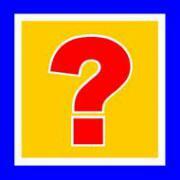 Are you passionate about motorcycles? Does the thrill of getting your hands dirty working on them appeal to you? 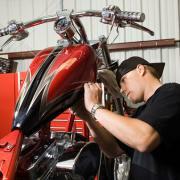 Becoming a Motorcycle Mechanic may be the right job for you! 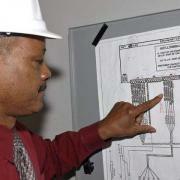 A Nuclear Power Plant Process Controller provides technical support in a nuclear power plant. 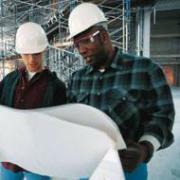 This work can cover installations, operations and maintenance of equipment and the facilities. 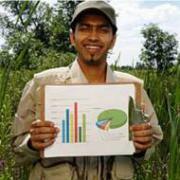 If you love geography and sciences – here are some more careers that might interest you. A lot of these careers expect you to work both indoors and outdoors, in all weather conditions. These careers can be very exciting and interesting. 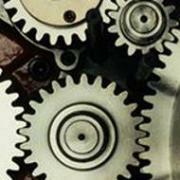 Are you interested in mechanical engineering? There are so many different jobs in this sector. Learn all about the different career before you make your final decision. Find one that will suit your passion! 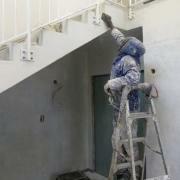 Every or most buildings (new and old) need painting done, inside and out and that means – good Painters are in demand! A Painter is a person who prepares and paints buildings, walls, ceilings, woodwork, railings, stairwells and banisters etc. Imagine being the person who takes a wreck from a car accident and makes it as good-as-new again. If this scene excites you, then maybe a career as an Automotive Body Repairer (Panel Beater) is just the job for you! Automotive Body Repairers repair damage to metal, plastic and fibreglass bodywork on different types of vehicles. A Petroleum Engineer plans and organises the engineering aspects of finding and extracting petroleum or natural gas from our planet. A Pipe Fitter is a specialised tradesperson who installs, maintains and repairs high pressure mechanical piping systems. These systems are often found in aircraft, industrial plants and various marine vessels. Plasterers are in demand! 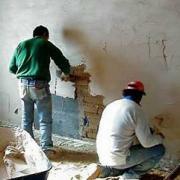 Plasterers are needed in the construction of buildings and homes, specifically when new walls are needed. Plumbers are in demand! Everyone needs a Plumber sometime in their life! They are very important trades people. If they work hard they can make a lot of money. Plumbers specialize in installing and maintaining systems used for drinking water, sewage, heating, air-conditioning, drainage and industrial process plant piping. A Power Generation Production Manager plans, organises and manages the work activities at a power generating or biofuels plant. A Quantity Surveyor is a very important professional who tries to make sure that buildings and construction projects, like airports, hotels, theme parks, for instance, are erected within budget. They are responsible for working out all the costs with regard to materials and labour.